Malissa Larson is Assistant Vice President for Student Affairs and oversees the Office of Disability Services. She began her career at Western in 2000, serving three years as the Accommodations Coordinator. 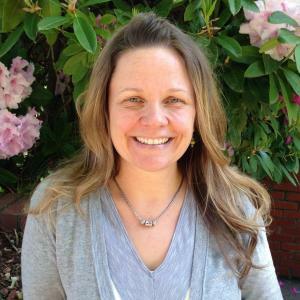 Between 2005 and 2008, Malissa transitioned to the private sector as a mental health counselor for Deaf and Hard of Hearing adults for a non-profit organization and a Vocational Rehabilitation Counselor for the state of Oregon, before returning to WOU as the Director of Disability Services. She contributes to the institution through her leadership role within the Division of Student Affairs, as well as leading and participating in committees such as the University Budget Committee, the University Diversity Committee, the university CARE team and the Emergency Preparation team. Larson received her bachelor’s degree in American Sign Language/English Interpretation at Western Oregon University (then named Western Oregon State College), where she also received her master’s degree in Rehabilitation Counseling with an emphasis in Deafness.